Jewelry. Marriage certificates. Cash. Many homeowners keep valuable items close by for peace of mind and home safes are not just for the wealthy anymore. When you keep valuables at home, you want to keep them in a safe and that safe cleverly hidden. Here's how you can disguise your safe. 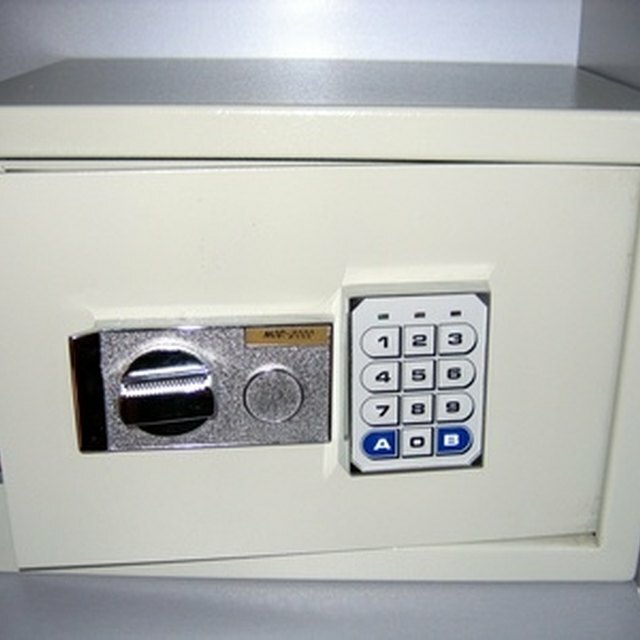 Home safes are a popular option for storing valuables. Hide your safe inside a large, used stereo speaker. Even though you may only use one, try finding two that match so they appear more legitimate. Search for oversized versions at a thrift store and arrange them next to your television so they appear to be in use. Peel back a small part of your sofa to lodge a small safe inside. Choose a sofa unattractive to thieves, such as a heavily used one in a play room or basement. Use small tacks to return the back to place. Carve a hole into a wall to hide a safe behind a picture. Clear out a space between two studs, add a shelf between and cover your safe with an inexpensive framed poster or other picture. Hollow out a used air purifier or humidifier and put the safe inside. Place it in a room in a way so it looks like you actually use it. Purchase camouflaged safes that look like soda cans or books. Surveillance for Security recommends choosing a safe that looks and weighs as much like the original item as possible. No hiding tactic is fool proof so for very valuable items, consider using a safe deposit box. Surveillance For Security: Diversion Safes: Soda can safes and other things to hide money in.